Heroes in a Half Shell at More Than Half Off? Cowabunga! Now that Daredevil is officially part of our cultural Zeitgeist, maybe it’s time to revisit the companion series from your childhood. Did you even realize that there were 10 seasons of Teenage Mutant Ninja Turtles? There are, and you can get the complete collection on DVD for just $37 at Amazon. It’s maybe not as cool as the version that comes in a little van, but it’ll take up less space on your shelves, which isn’t nothing when you’re talking about 23 discs. 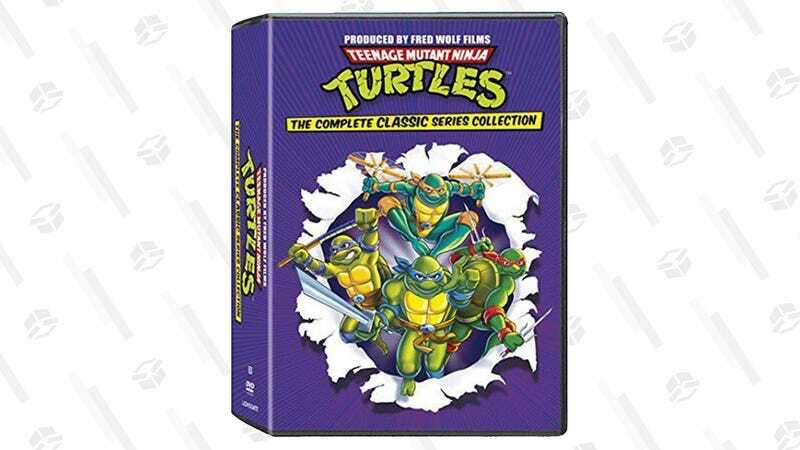 And while I’m not sure the turtles still qualify as “the world’s most fearsome fighting team,” watching the cartoon can totally transport you back to the Saturday mornings of your childhood. I’d say that’s pretty radical.